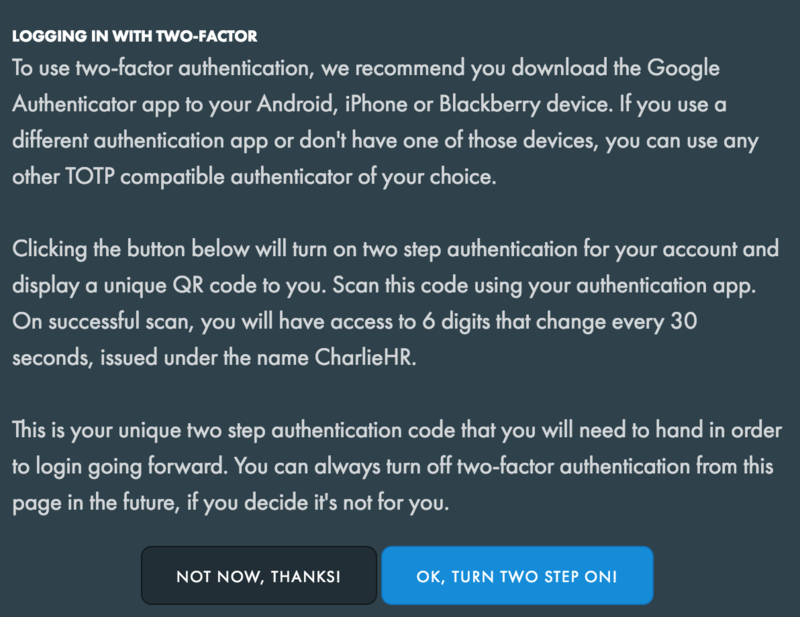 Ready for an extra level of protection on your Charlie account? Select Settings from the tab menu in the header. 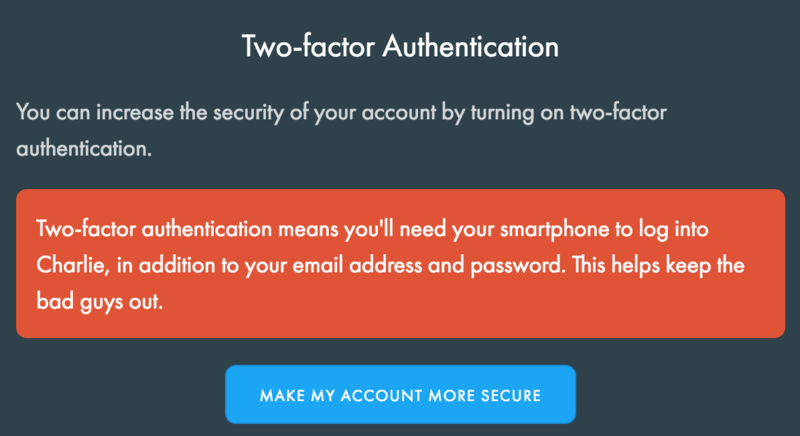 In the 'Two Factor Authentication' section, select 'Make my account more secure'. Read the given steps and follow the instructions. If you're happy, select 'Ok, turn two step on'.